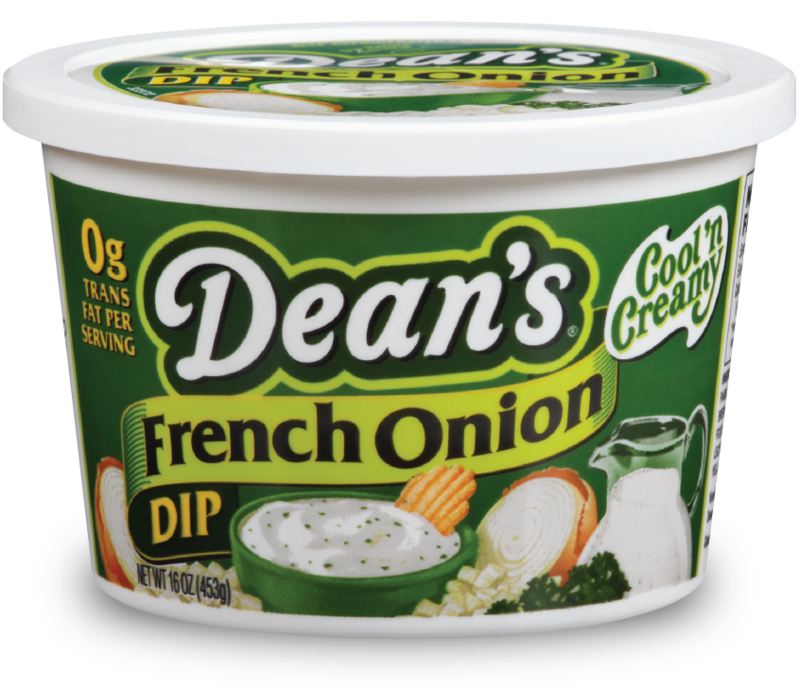 This holiday staple, made even better with Dean’s French Onion Dip, is creamy and delicious enough to make and enjoy all year round. Preheat oven to 400°F. Wash and trim the ends of the green beans. Chop in half and blanch: Add green beans to boiling water for 5 minutes, drain, and place in a bowl of ice cold water. In a pan over medium heat, melt the butter. Saute the garlic, mushrooms, and green beans together for 3 minutes. Slowly add in the broth and stir for another 2 minutes then add the Dean’s Dip French Onion. After mixing, fold in a ½ cup of the crunchy fried onions. To thicken the casserole filling, sprinkle all purpose flour and stir until you get the consistency you desire. Pour the filling in a large baking pan. Sprinkle the rest of the fried onions on top of the casserole and bake in the oven for 10-15 minutes until hot and bubbly. Serve warm and enjoy!